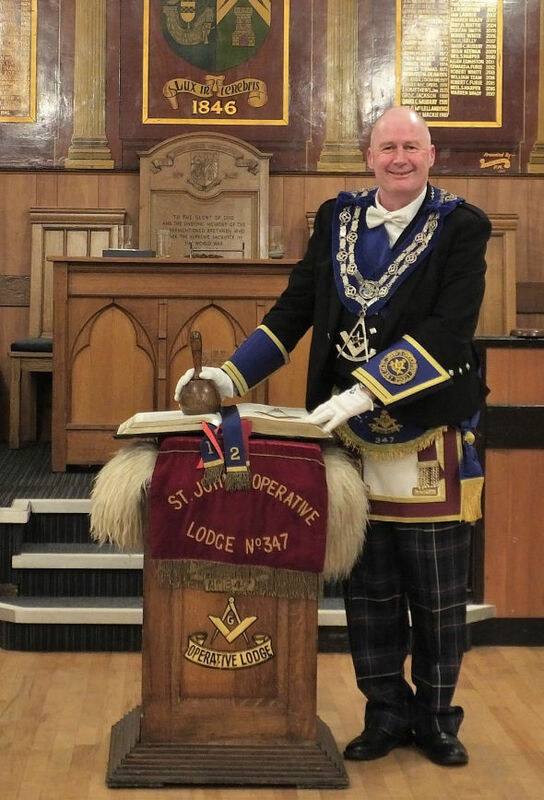 I would like to thank the brethren of 347 for electing me as their master for the forthcoming year. It is a huge priviledge to be able to be the master of such an excellent lodge and a fine collection of not just office bearers not in general members of 347. My predecessors have set distinguished examples of Leadership, which i will strive to live up to their records. I would also like to thank our previous master Brother Niven Wilson for his excellent year in the chair. We have a fine body of Office Bearers at 347 to whom i wish all the best for the coming year and I am sure with your valuable assistance at our own meetings and our visitations you will all do your jobs with the utmost care and affection whenever possible and carry out our degree work to the high standards that has become expected at 347. To our visitors that have come to visit 347 we are looking forward to cementing our friendships in the coming year and also not forgetting making new friends along the way. If you have not yet visited us at 347 then please feel free to come along to a lodge where you will be most welcome and become a member of the 347 family.